Hello, everyone! Sarah Woodall here. I’ve been asked by the creators of Dogs of Bham to write a guest post on how to find your lost dog in the big city. 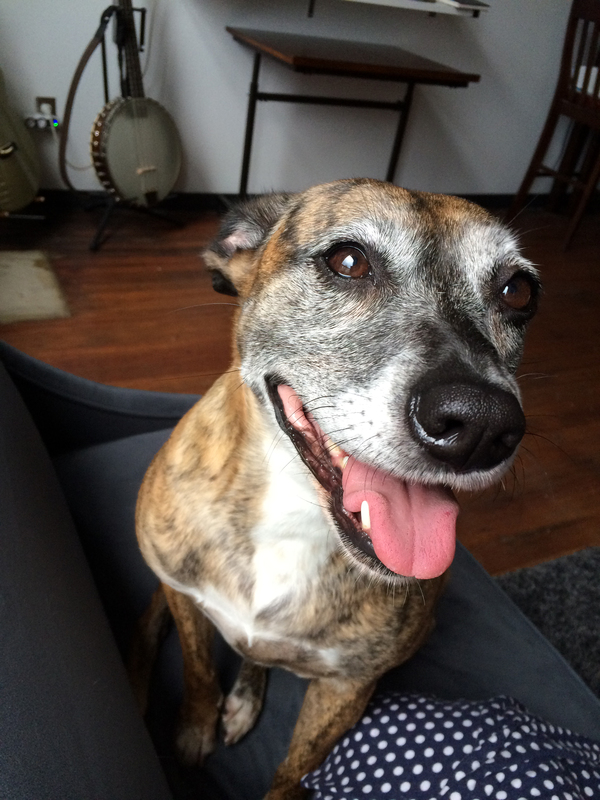 I’m sad to say that I have firsthand experience in losing a dog in downtown Birmingham. But, it is with tremendous amounts of joy and thankfulness that I can say that I also have firsthand experience in FINDING a lost dog in Birmingham! I would like to share with you fellow dog parents some really great tips and techniques that my husband and I learned during our four-day search for our beautiful Lily. Here is the short story of how she became lost: I took her out to potty in the courtyard of our building. Like we always do, I let her off her leash to give her some space. She’s a very loyal and obedient dog, so it’s never been an issue. Foolishly, I forgot to check that the back gate was completely closed. (Ouch!) Lily is an extremely skittish rescue dog who has a hard time trusting anyone she doesn’t know. So when a rambunctious little neighbor puppy came into the courtyard and attempted to engage Lily in some rough housing, she panicked and bolted. It was rush hour and raining and I was obviously panicking. My husband and I, along with some wonderful friends and family members, spent hours searching for Lily that night, to no avail. We searched until midnight or so before finally having to give up for the night. We spent the next three days straight conducting a full on search and rescue mission to find our lost and scared dog. There were many times that it felt like we were searching for a needle in a haystack, or as my best friend said, it felt like we were tracking a unicorn. But don’t give up hope! Your dog CAN be found and there are tricks to finding them. There are four things to which I attribute to us finding Lily: Community, Prayer, Relentlessness, and Scenting. Tomorrow, we will dive into these four topics. Stay tuned! Sarah and Allan Woodall are local artists and animal lovers. You might know Sarah from her series This is Birmingham, a collection of paintings, prints, t-shirts, and gifts featuring pop art paintings of the Birmingham skyline. You might know Allan from his weekly series Spatter Beasts, a collection of monster illustrations created from splattered ink, or from his famous Sloths Furnace t-shirts. You can find their art in their online stores at https://www.sarahwoodallart.etsy.com and https://www.allandoodles.etsy.com.